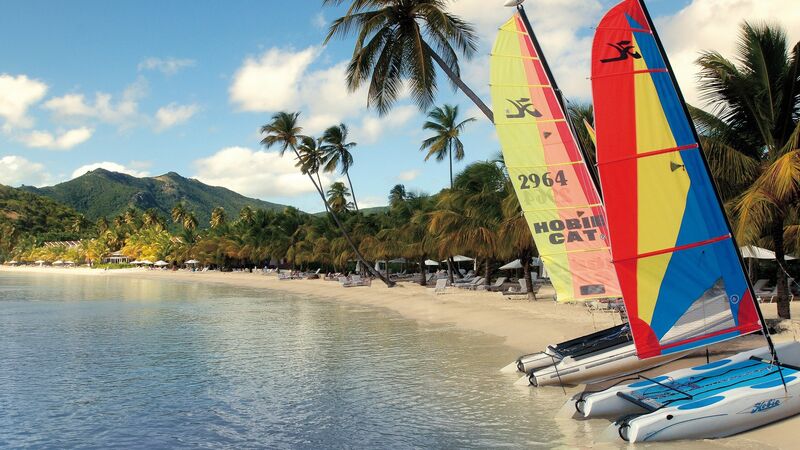 The Carlisle Bay enjoys an enviable position overlooking a white, sandy beach edged with warm, turquoise waters and is perfect for both families and couples. 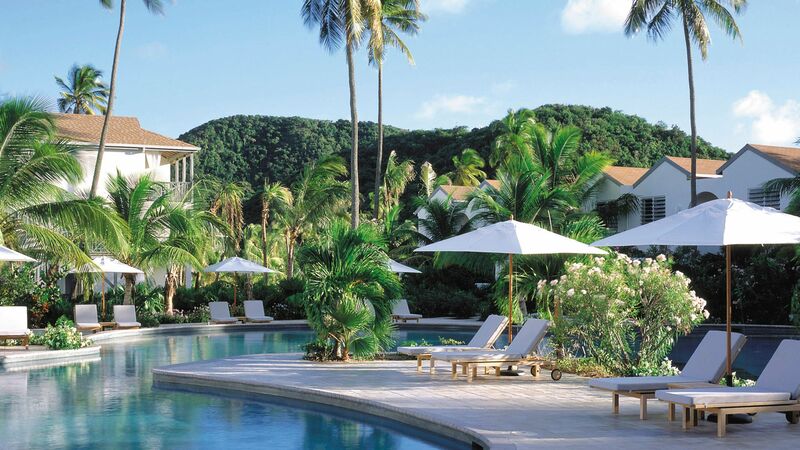 Enjoy seclusion, relaxation and luxury amidst charming Caribbean architecture and beautiful garden areas creating a unique, laid-back and deluxe piece of paradise. Select from 87 contemporary suites with ocean views and separate family areas allowing everyone to fully immerse themselves in holiday mode. Guests can indulge in a range of West Indian and Western cuisine at the excellent choice of restaurants and bars overlooking the beach and sea. 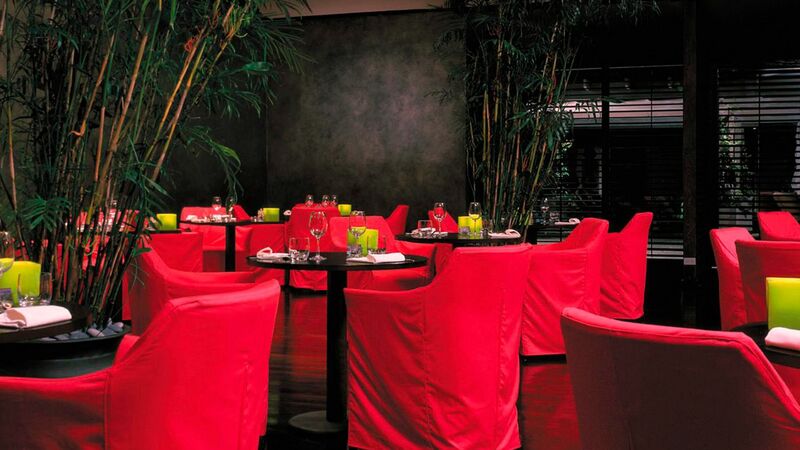 Choose from lively family orientated places and romantic adult only eateries. In between gourmet meals, check out the water sports and tennis courts, or unwind in the movie screening room or library. 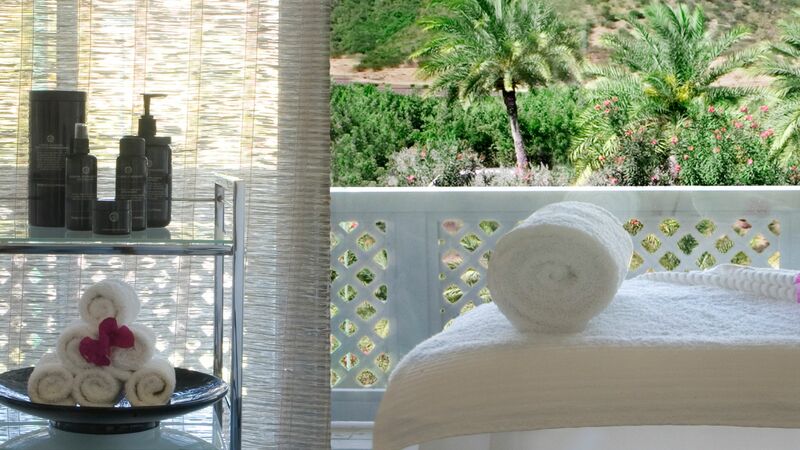 Be sure to take time out to pamper yourself with a selection of massages, facials and treatments at the award-wining Blue Spa which will leave you feeling refreshed in both body and mind. 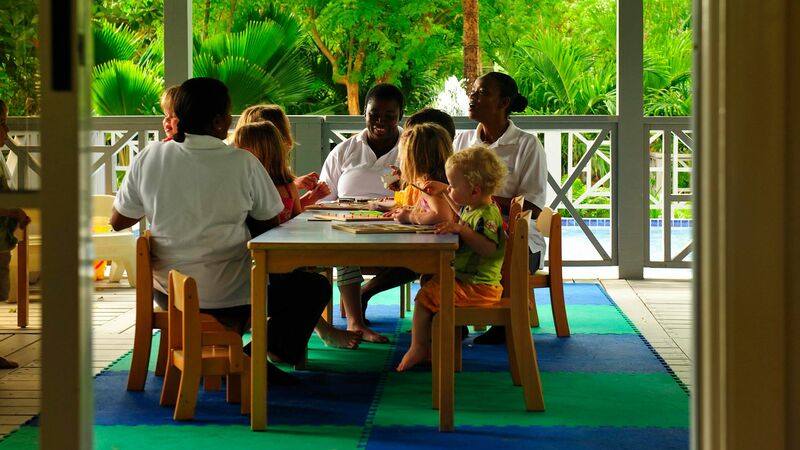 Younger guests won’t be left out either, with their own tailored activities at the onsite Kids’ Club. Optional All Inclusive – what's included. Breakfast at Indigo Restaurant. Lunch and dinner – three courses, plus coffee from the a la carte menus at Indigo on the Beach, East, Ottimo! & Jetty Grill, including drinks. 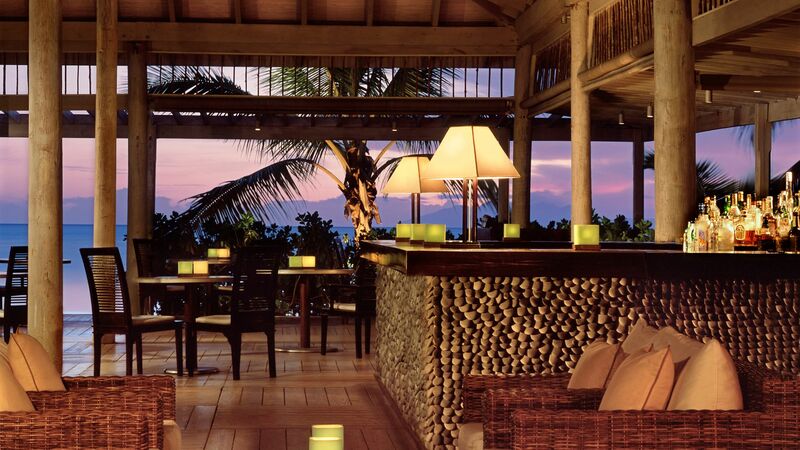 The resort’s signature restaurant attracts visitors from all over the island where you can dress up and dine within a stylish dark wood Indonesian restaurant with an intimate and enchanting ambiance. Sample exquisite Japanese, Indonesian and Thai cuisine with a twist. Children under 10 years are permitted in the restaurant before 19:00. Enjoy lunch or dinner beside the water on the rustic wooden pier where you can take in the unrivalled sea views, exclusively for adults. 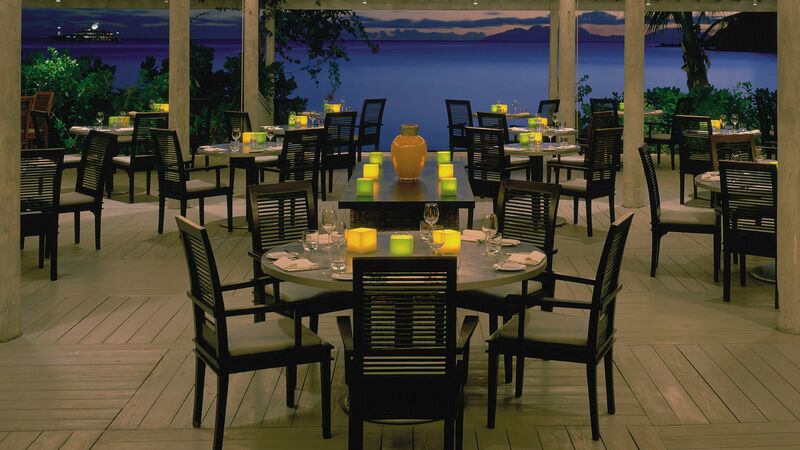 Sample grilled meats and fresh seafood on the terrace accompanied by a fruity wine punch, Caribbean style. This restaurant is for adults only. Step into the open-walled dining room by the sea and enjoy a light snack or cool drink or stop off for dinner overlooking the beach. Sample freshly cooked local products including tempting seafood, mouth-watering salads and pastas, with a children’s menu available. Enjoy authentic Italian dining on the poolside terrace beside a wood burning oven. 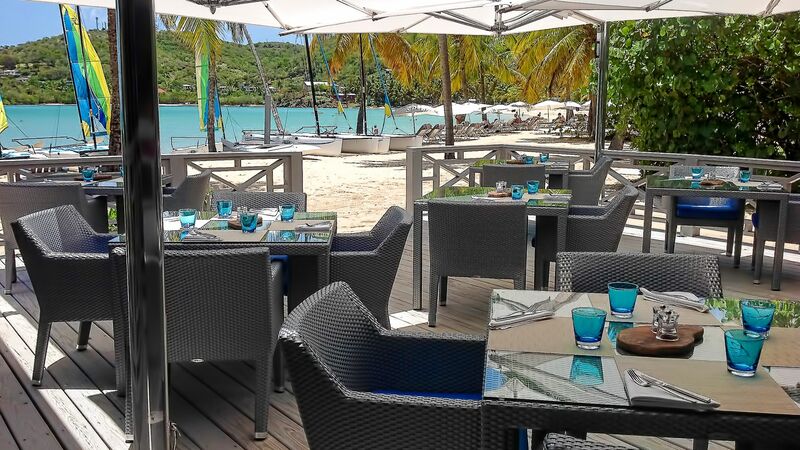 Sample sublime pizzas, fresh salads and exquisite gelato, with a dedicated children’s menu allowing the whole family to relax, unwind and enjoy the Carlisle Bay holiday experience. Sit and relax in the typically Caribbean open-sided bar as you enjoy the refreshing ocean breeze. Choose a refreshing fruit punch at lunchtime or a pre-dinner aperitif from within a cosy, peaceful and elegant bar area. Enjoy a light snack or sundowner beside the jetty with the water lapping at the edge, the fire pit at the centre, and with fresh coconuts providing decoration and a truly Caribbean feel. Situated on a secluded piece of sand behind the main beach, guests can enjoy a tranquil drink under the palms lit by tiki torches, with the Caribbean waters lapping on the shore. Opening onto the beach, guests can sit on comfortable rattan chairs overlooking the sea with a cool juice or glass of wine, and admire the sunset. Take a dip in the refreshing freeform swimming pool or laze on the plush sun loungers under a swaying palm. The resort sits on a golden sandy beach backed a by lush, green rainforest. The warm, shallow waters are perfect for family friendly paddling and swimming. The award-winning intimate Blue Spa has six treatment rooms where you can enjoy treatments provided by a hand-picked team of experts. Take a dip in the cooling plunge pool, or select from unique treatments, facials, massages and body wraps which will rejuvenate and refresh you from head to toe. There is also a Beauty Salon area where you can enjoy a pampering manicure or pedicure. Children over age 10 years are able to use the Spa. 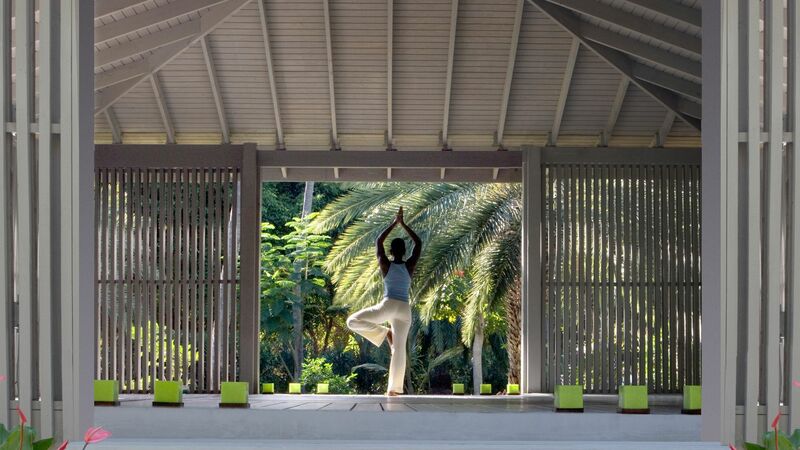 Nestled in a tranquil corner of the tropical gardens, the serene yoga pavilion is designed exclusively for meditative pursuits. Enjoy yoga and Pilates from sunrise to sunset led by expert instructors. 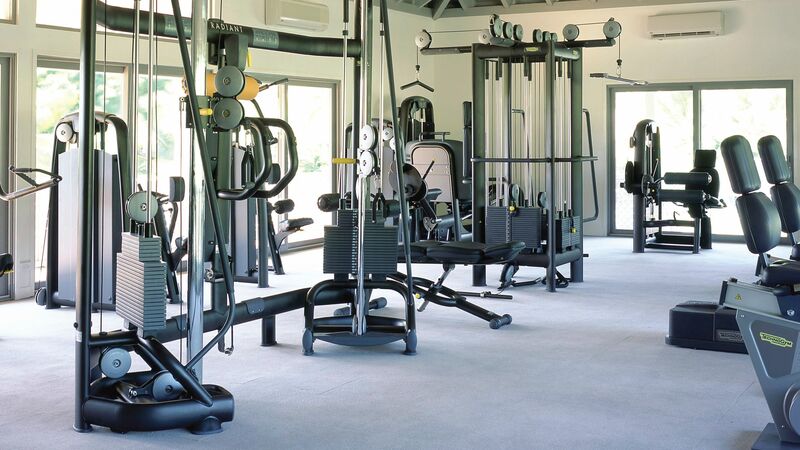 The spacious, air conditioned Fitness Centre features up to date Technogym equipment, in addition to a team of gym instructors if required, allowing you stay fit on holiday. Children from six months to six years will enjoy the activities at the Cool Kids’ Club, with expert staff on hand to make sure they’re having fun all day. Ages: 6 months to 6 years. Open: 08:30 – 12:30 and 13:15 – 16:15. Seven to twelve year olds can join the Crew Blue Programme and enjoy organised activities, from arts and crafts to scavenger hunts and team games to sporting activities. Ages: 7 – 12 years. Select from paddle boarding and raft building, or kayaking and windsurfing suitable for both beginners and experts. If you fancy a bit more power, water skiing and wakeboarding are available in the local area. Guests can also hire the hotel’s luxury yacht or try scuba diving courtesy of the onsite PADI diving school. The Screening Room at Carlisle Bay is used for movie nights and allows you to watch all the action from stylish Italian leather seats in a state of the art multimedia venue. It can also be hired out for meeting and events. 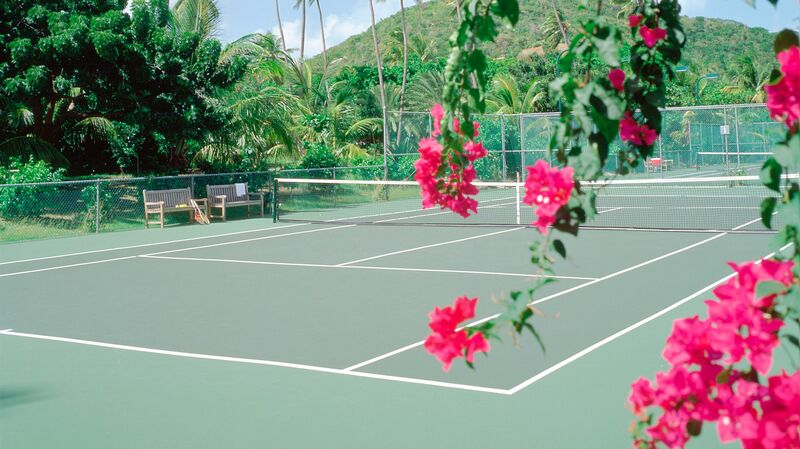 With nine tennis courts, including three floodlit courts, Carlisle Bay is the ideal spot for tennis fans. Training from the hotel’s head tennis Pro and equipment hire are also available. Step into the 21st century in the modern library with coloured optic lighting. Select from an extensive choice of reading or take advantage of the computers and WiFi within relaxed surroundings. 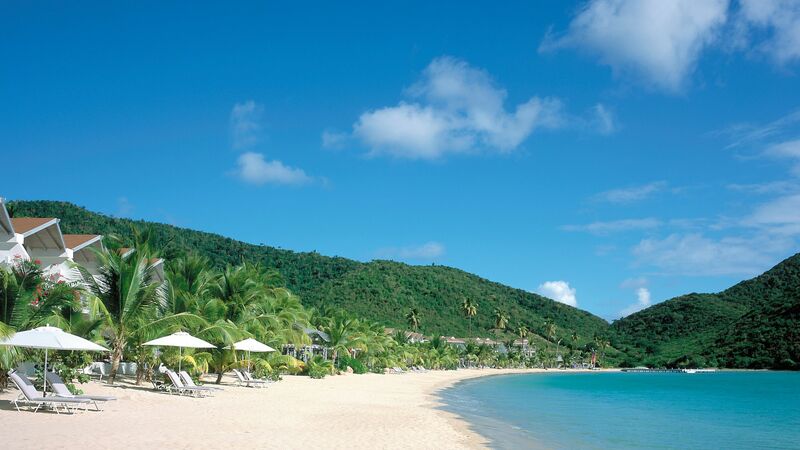 Nestled in the south-west corner of Antigua, Carlisle Bay is situated in St Mary’s on a golden sandy beach with a backdrop of emerald green forest. Picture perfect Turner’s Beach offers warm, turquoise waters ideal for swimming, and snorkelling, or you can simply relax on the soft, powdery sands and soak up the sunshine. When it’s time for a break, enjoy a freshly caught seafood lunch accompanied by refreshing, cool drinks at the beach bar. St Mary’s nightlife centres around the luxury hotels along the beachfront where you can enjoy live music with a cocktail. There are also plenty of activities to enjoy within southern Antigua, from zip-lining to scuba diving and boat trips to horse riding. Garden Suites are split over two levels with an open-plan living area and bedroom. The balcony or terrace features a daybed with views of the gardens and ocean in the distance. Room facilities include air conditioning, telephone, satellite television, complimentary WiFi, safe, minibar, espresso machine, hairdryer, bathrobes and Molton Brown® bathroom toiletries. Ocean Suites are the same as the Garden Suites but are located by the beach with magnificent views of the Caribbean Sea. Beach Balcony Suites are located on the upper level of the family section of the hotel and feature a master bedroom with living area, views of the bay, a bathroom and a second bedroom with twin beds. Bay Suites have direct ocean views and a preferred beach location. The suite boasts a vodka and rum bar, a private butler service and Temple Spa luxury bath products. Beach Terrace Suites are the same as the Beach Balcony Suites but are located on the ground floor with direct access to the beach. Carlisle Suites have three bedrooms, two with king size beds and one twin bedded all with en-suite bathrooms. The suite also features a large sitting room, kitchen and a spacious balcony with views of the beach and ocean. Up to two children between 2 - 12 years old receive free upgrade to all inclusive when sharing a Beach Terrace Suite with adults for holidays between 16 April - 14 December 2018. Please call our Trusted Adviser for further assistance. We are travelling around the Caribbean on a cruise ship with a day in Antigua and rented a car for a look around. 35 minutes from the port after stopping at ok beaches we drove into Carlisle Bay Resort having enquired as to a full day pass which included a 3 course lunch and access to the facilities. We were welcomed into the resort and upon explaining that we only had 3 hours and wanted to enjoy a quick lunch and then a relax on the beach after 2 days at sea. The Receptionist who was lovely understood immediately our request but had to check with Management. She returned in a couple of minutes explaining we would have to pay the full day rate of $156 per person plus any drinks as Management were not prepared to discount the day rate. The resort is lovely and we enjoyed a ?? ?slow service??? okay lunch which even further reduced our time to enjoy the water and kayaks and paddle boards which our kids wanted to do. A slice of paradise but Management need to rethink their strategy as a small gesture and compromise would have made the whole experience so much better. By my calculations the lunch and brief swim cost US$356 per hour for our family and whilst a pleasant break from the ship could hardly be called good value! A shame as the Resort itself had a good feel to it and the staff were pleasant and obliging. We stayed for two weeks in an Ocean Suite. The suite was beautifully proportioned, exceptionally clean and being on the top floor afforded beautiful sunsets over the palm trees. Most of the credit for us having such a memorable time was as a result of the staff. They are exceptional, friendly, efficient, nothing was too much trouble, everyone is a credit to the hotel. The beach was spotless, cleaned everyday, the team who looked after you on the beach were always stopping by with fruit skewers, afternoon tea etc., The sea was the best yet. As someone who very rarely goes in I went in every day for a swim. All the restaurants were of a good standard with a wide choice of food and excellent service. Sadly there are a few things that the hotel needs to keep an eye on...mostly around the marketing of 'Adult' areas...when we choose a hotel we do look for one that is not ultra child friendly, and in the marketing the hotel does state such things as: Ocean Suites - "Accommodates a maximum of 3 persons; children must be 12 years and older." We observed several of these suites with young children in!! Ocean Suites - "Located where peace and tranquility are preserved on the calm end of the beach". Sadly this was not the case as as the weeks went by it was popular with families. It also states " separate family areas allowing each guest to enjoy the holiday that suits them best." Not something we noticed towards the end of our stay. East Restaurant is exceptional. Especially for the Caribbean. Again the marketing reads "We would kindly request that those with children younger than 10 years to please dine before 7.00pm." We dinned most evenings there at 8pm and young children were still eating and sadly making quite a lot of noise. I don't wish to sound negative about children, I was one once. However as I say when a hotel goes out of it's way to mention in the marketing specific things, I would expect them to do their best to keep to it. Finally the pool. It is beautiful, has a lovely ledge with sunbeds around so you can relax in the soon and feel the water all around you...However, the ledge proved to be the main attraction for families with children running around, playing ball games in the pool and sad to say generally making so much noise that any chance of relaxation would be impossible to achieve. Would we return, sadly not. It is a stunning hotel, in a beautiful location with excellent service and for families it is the perfect hotel. Sadly not so for those wanting a relaxing holiday away from it all.